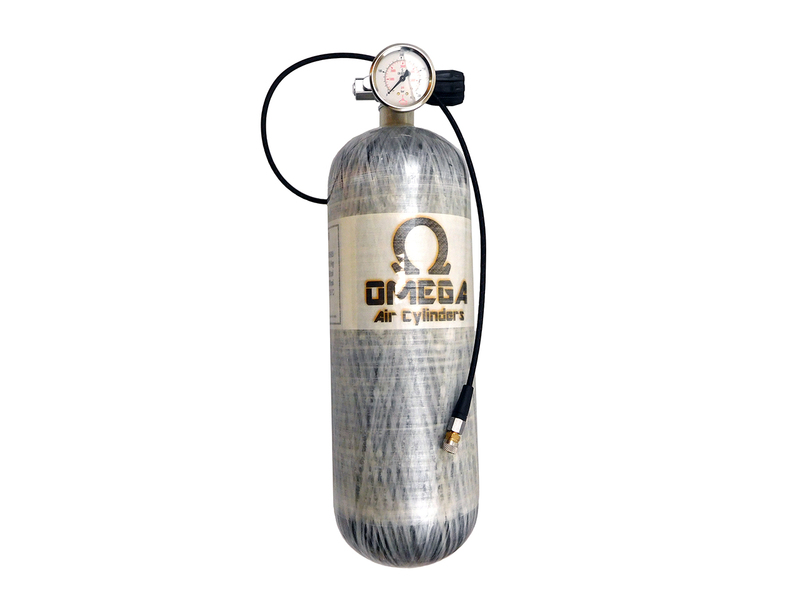 Refill your high pressure air pre-charged pneumatic airgun at home or in the field with this 75 cu / ft, 4500 PSI Omega Air Cylinder with HP3 valve. 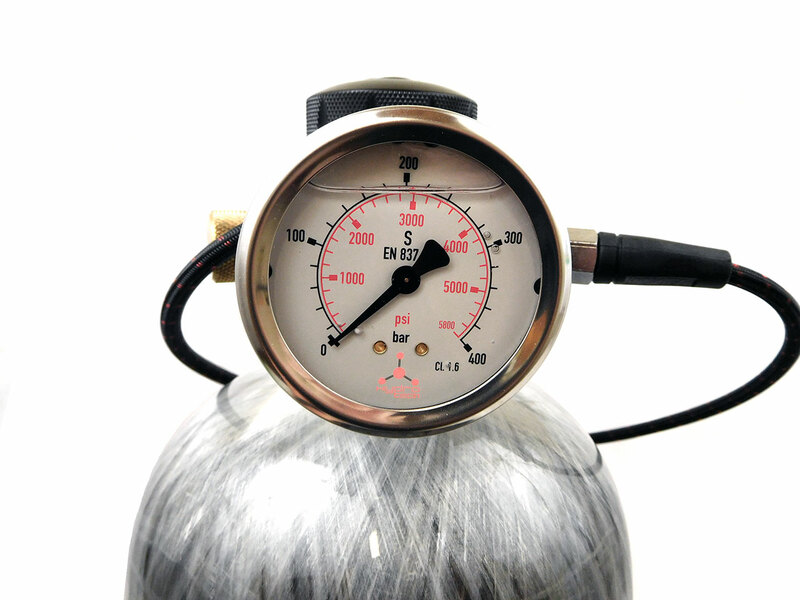 The large capacity tank provides plenty of fills on any size airgun cylinder, and minimizes trips to have the tank refilled. Included is the Omega cylinder, zero-kink hose for use with 1/8 BSP adaptor (standard with most PCP airguns). A 2 inch stainless steel oil filled gauge that shows PSI and Bar measurement. I really like the push button quick release bleed valve. This bleed valve is simple to use and returns automatically to the closed position. It is robust and well made. The cloth covered hose is also extra nice. The no kink hose is 36″long and is comfortable to use.